2019 is shaping up to be a momentous year for the cruise industry. An estimated 30 million people are expected to go on a cruise holiday over the course of the year, and a record-breaking 24 vessels are poised to make their debut during this time to meet the rising demand. To support this unprecedented rate of expansion, V.Ship’s Leisure, V.Group’s dedicated cruise ship management division, is continuously expanding its marine, technical and hotel management services to support growth in all locations, and the increasing diversity and specialisation of the global fleet. At this year’s Seatrade Cruise Global Conference in Miami, the V.Ships Leisure team will be on hand to discuss our full range of services to the cruise sector. 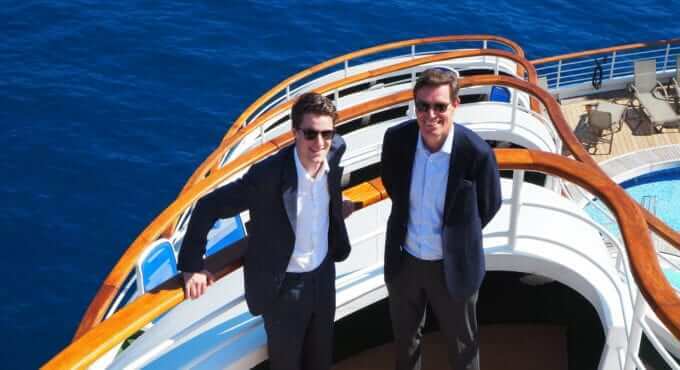 V.Ships Leisure is the first dedicated cruise ship management team, and the cruise line start-up partner of choice. Through our services, V.Ships Leisure customers can leverage the scale and breadth of V.Group to deliver world-class, sustainable experiences to guests. Our crewing network which includes over 10,000 crew dedicated to the cruise industry is the world’s largest independent source of crew. V.Ships Leisure can also transform your business with our innovative technology marine digital platform ShipSure 2.0. Our growing portfolio of supported vessels currently stands at over 100. Recent additions include Piano Land for Twinkle Cruises, providing complete marine, technical and hotel start-up and operations management; the Magellan Explorer for Antarctica21, an Antarctic vessel customised for fly-cruises; and Mystic Cruises’ new expedition vessel World Explorer. If you have an enquiry or would simply like to have a catch-up, please contact us at contact.leisure@vships.com.